Real Wiseguys is pleased to announce that we’re launching our own Internet radio show on January 25 at 9 p.m. Eastern on Vegas Kool. Mob author and historian Denny Griffin and former Gambino crime family associate Andrew DiDonato, have agreed to co-host the show for us. The debut show will focus on the soon-to-be-opened National Museum of Organized Crime and Law Enforcement, commonly known as the Mob Museum. Jonathan Ullman, Executive Director of the Museum, will be the special guest. Mr. Ullman will give listeners a verbal tour of the facility and talk about what is planned for opening day. The Mob Museum is located at 300 Stewart Avenue in Las Vegas, and will open on February 14. Check their Website for additional information. Who are the REAL WISEGUYS? 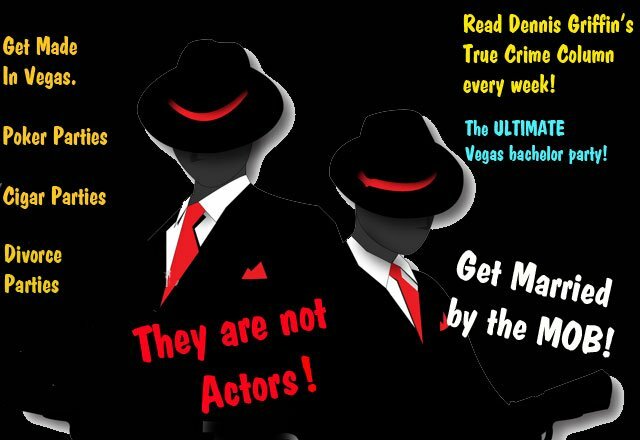 These Wiseguys are not actors. They are “REAL WISEGUYS” and associates. They were career criminals that were part of the Mafia, and who turned their backs on the organizations that once fueled their daily existence. The wiseguys that you will have at your event were active members of crews with New York’s Gambino, Colombo, Lucchese, Bonanno and Genovese crime families, and the Chicago Outfit. These “REAL WISEGUYS” are all researchable. Many of them have books out and movies and documentaries have been made about them and their exploits. Imagine having real dishonest to goodness wiseguys at your event. Playing poker with you and your buddies, going on a limo ride around Las Vegas to all the HOT bachelor spots, being part of your wedding party and taking pictures with real Mafia associates that will show your friends back home you have connections. Denny: How I wish I could be at the Museum opening on Valentine’s Day! I know you’ll look so fabulous and cool..especially with a red rose in your lapel..